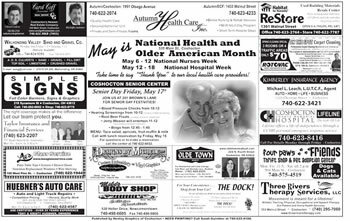 Advertising in our Area Maps is a very effective, low cost way to get your name in front of prospective customers. A variety of businesses, neighbors and people use and distribute these maps. This networks your business with thousands of customers in your target area. 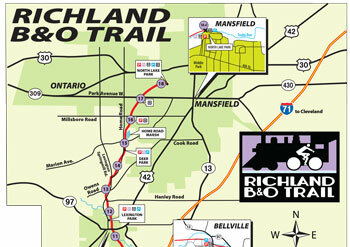 Maps are free to the public and advertising in Area Maps is an effective way to target those you are trying to reach. You will also receive maps to give out to your customers. We have produced Hotel Room Directories for National hotel franchises. These full color directories are bound in handsome, padded 3-ring binders or are saddle stitched booklets and placed in every room in each hotel. They feature complete hotel information and have maps of the surrounding areas, giving guests the opportunity to discover nearby services. Put yourself in a Win situation. 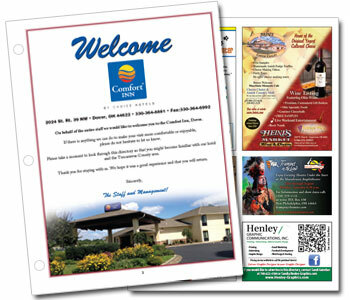 Henley Graphics can provide free placemats by selling advertisements to area businesses. It helps you, it helps area businesses and provides a service to your customers. Please give us a call 419-994-5488 or send us an email for more information on this wonderful opportunity.